Effective All Natural Mosquito Misting Solutions – Call Today! Mister Mosquito misting systems eliminate mosquitoes and other biting pests while remaining discreet and unobtrusive. 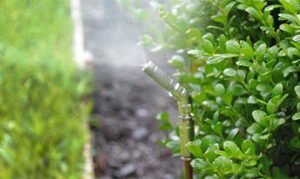 Our automated and timed misting schedules run for short periods a few times per day and can be scheduled when activities around your property are at its quietest or slowest. Making our Mister Mosquitoes mosquito control and other biting pest elimination systems a perfect solution for homes and business in Southwest Florida. Safe and lasting effects of mosquito control can be a difficult process. If you’re unfamiliar with our technology, we have tried to answer some of the most commonly asked questions about our fully automated mosquito misting system. If you have any concerns or additional questions contact one of our certified Mister Mosquitoes experts today at (239) 230-7020. We can give you all the information you need to make an informed decision to protect your property. We also offer a “FREE property evaluation and estimate”. Misting technology to control mosquitoes and other biting pest have been used in barns to protect expensive racehorses from biting flies for about 30 years. In 1999, an entrepreneur in Houston decided to apply the technology to a mosquito control system for homes and businesses. We have been installing mosquito control systems throughout SWFL since. 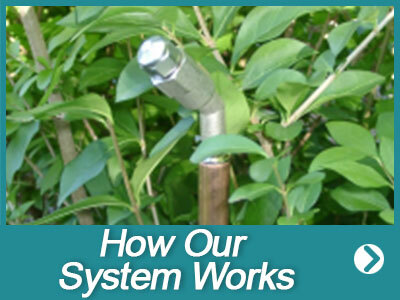 What types of insects does the Mister Mosquitoes misting systems eliminate? Mister Mosquitoes misting systems eliminate flies, gnats, mosquitoes, wasps, hornets, ticks, fleas, lice, chiggers, spiders, and more. Our misting systems can kill a variety of problem-causing insects while keeping you, your pets, and surrounding plants safe. What insecticide does Mister Mosquitoes use? Mister Mosquitoes insecticide of choice is Pyrethrum. Pyrethrum is a natural insecticide made from chrysanthemum flowers. This insecticide protects flowers from plant-eating insects. Insects do not build up an immunity to Pyrethrum as they do other chemicals and synthetic compounds dangerous to humans. You can read more here about our Pyrethrum insecticide. Are Mister Mosquito misting systems safe for use around people of all ages? Yes! When used as instructed, Mister Mosquito misting systems are safe for use around people of all ages. No. Pyrethrum insecticides have been used in agricultural and equine applications for a quarter century with no known harmful effects. Some other (over the counter) insecticides contain petroleum istillates, oils, and solvents that can be harmful. Used according to label instructions, the insecticide we use is considered to have low toxicity to mammals. Are Mister Mosquitoes misting systems environmentally-friendly? Yes! Our mosquito spraying services are environmentally-friendly. After pyrethrum misting affects mosquitoes and other insects, it decomposes quickly and harmlessly. Does Pyrethrum leave a residue like other chemicals and synthetic compounds? Pyrethrum is completely biodegradable. After pyrethrum affects mosquitoes and other insects, it decomposes harmlessly. What makes Pyrethrum different from other insecticides? Only Pyrethrum gives a full protection with each automatic spray. 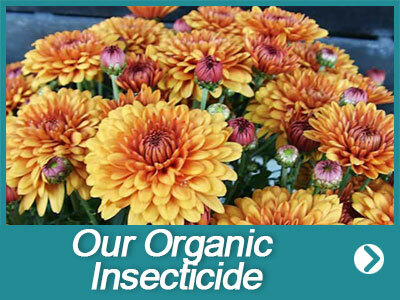 You control your insect problem with less insecticide, so you save money. Is Pyrethrum effective against any other insects? Yes. Almost all insects are killed or repelled effectively by Pyrethrum. That includes over 138 different insects. A timed spray kills or repels mosquitoes, flies, spiders, gnats, roosting wasps, and all other insects. How is the mosquito misting system operated? Our Mister Mosquitoes misting system is fully automatic. We handle all the maintenance and the worry! You will never need to worry or plan ahead to be able to enjoy your yard mosquito and other biting pests free! Want to run a misting ahead of a special event? 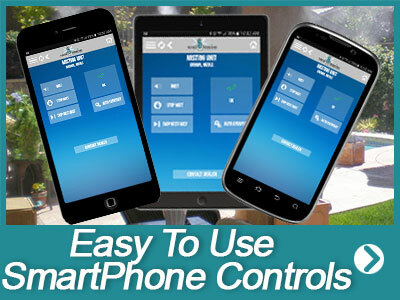 Use our easy to use remote control or smartphone controls. Mister Mosquito Control systems work like an “in the ground sprinkler system” and are on a timer preset to turn on and dispense a fine mist of pyrethrum-based insecticide. Our systems are always working and providing daily ongoing protection. Other mosquito control systems use a backpack spraying system that is effective but only for a few days or a week. This system doesn’t eliminate pest that may fly into or enter into your property after the initial spray starts to dissipate. What are the installation and operation requirements? The installation and maintenance cost is based on the particular size and design of your home and yard and is usually comparable to the cost of an irrigation system. Your purchase includes a two-year warranty on the equipment and labor as long as you use Pyrethrum insecticide in your system. Our maintenance instructions will help extend the life of your nozzle tips in hard water areas. We stock a complete inventory of parts for any unexpected occurrences. How often should I set the timer to come on? We start our systems with two sprays a day for about 35 seconds each. Adjustments can easily be made later. Let nature be your guide – As different pests swarm or become active, you may increase or decrease the number of sprays you use. You should never need to exceed six times per 24 hour period. Some other insecticides require you to spray every hour or hour and a half. This frequency will never happen with Pyrethrum. You will use less insecticide, so you save money. Rinse the intake filter (that hangs inside the drum) each time we refill your drum. Washing your intake filter prevents clogging of your nozzle tips and filters. Your tank will be washed out at least once a year to remove any natural bacterial growth or residue accumulation. There is no preservatives or chlorine in the mixture as these would interfere with the natural ingredients in your insecticide. How often is the system refilled? The frequency of refilling your system will depend on the number of spray nozzles installed, the number of sprays per 24 hours, the severity of the insect problem, and the length of each spray cycle. Mister Mosquitoes furnishes each customer with a chart that shows exactly how long a tank of insecticide will last based on a particular spray cycle. The system shuts itself off when there are two or three inches of liquid left in the tank. Mister Mosquitoes will provide you all the information you need to make an informed decision to protect your property and family. 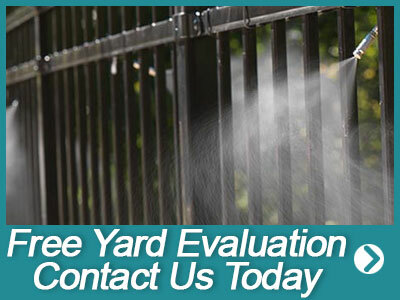 We also offer a “FREE property evaluation and estimate. If you have any concerns or additional questions complete our online request form or for the fastest response call one of our certified Mister Mosquitoes experts today!